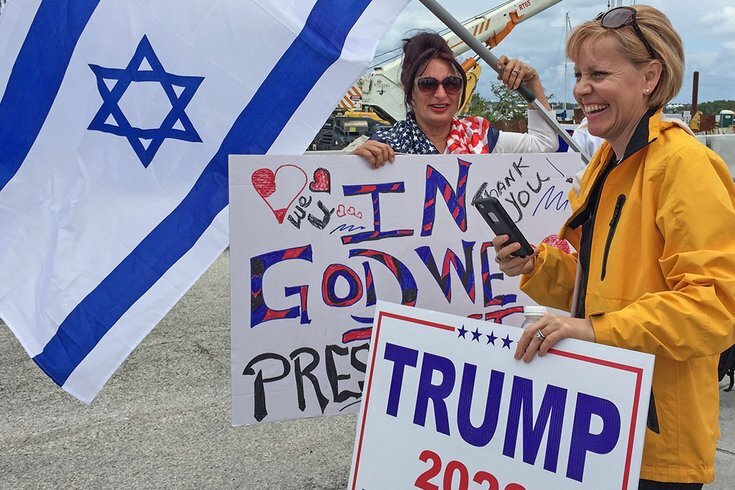 Cindy Laveggeto, left, gathers with supporters of President Donald Trump in West Palm Beach, Florida, in this file photo from January 20, 2018. In the cases of Donald Trump, Roy Moore and Brett Kavanaugh, the question facing them has been whether to support a male Republican leader accused of sexual assault – or to press for male accountability. MORE NEWS: Are the 'Proud Boys' coming to Washington Square Park next month? Republicanism encompasses different visions of womanhood that allow women to feel that they can be Republican and also strong women. In fact, 52 percent of white women in 2016 cast their vote for Donald Trump. That was despite the 22 allegations of sexual misconduct against him. Roy Moore got 63 percent of the white women’s vote in the 2017 Alabama Senate race, despite the sexual misconduct allegations against him. 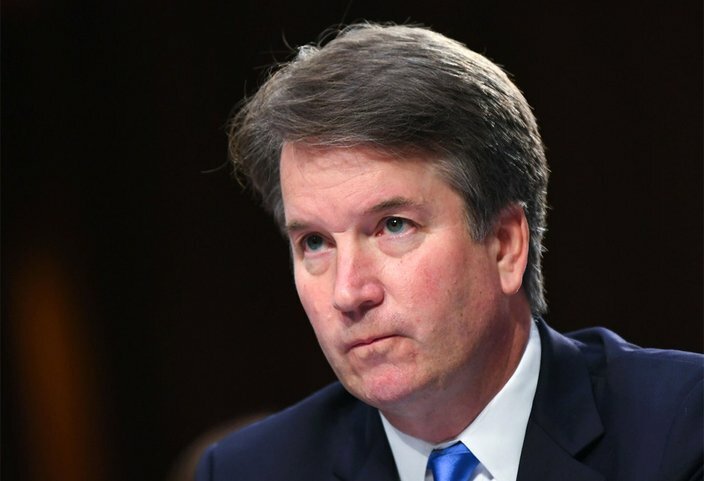 And Republican women were the only demographic that increased its support for Supreme Court Justice Brett Kavanaugh during the hearings of sexual assault allegations during his confirmation process in October. It’s true that Republicans do not tend to identify as “feminists.” A Pew Research Center poll conducted in September and October found that only 14 percent of Republicans said that the term “feminist” describes them well, compared to 60 percent of Democrats. Donald Trump’s campaign promised good-paying jobs in traditionally male sectors of the economy – mining, manufacturing, policing and the military. That promise would have appealed both to men and to the women who love and support them. Brett Kavanaugh, nominee to the Supreme Court, appears before the Senate Judiciary Committee during his September 5, 2018, confirmation hearing. Republican women are constructing their own version of womanhood that does not eclipse – or hold to account – the dominant position of men in their lives. And #MeToo activists – according to Cramer’s family – are not as “tough” as the North Dakotan “pioneers of the prairie.” This language implies that, even if women are sexually assaulted, they should bear up under it. In so doing, Republican women are constructing their own version of womanhood that does not eclipse – or hold to account – the dominant position of men in their lives. In this vision, women can hold their own – against feminists on the Left as well as male sexual predators. This model of “prairie woman” femininity shows there is diversity in how strong women act. At the same time, it precludes gender-based solidarity by rejecting any possible alignment with feminists on the Left who hold offending men to account, and who demand change within a culture that devalues women’s experiences overall.